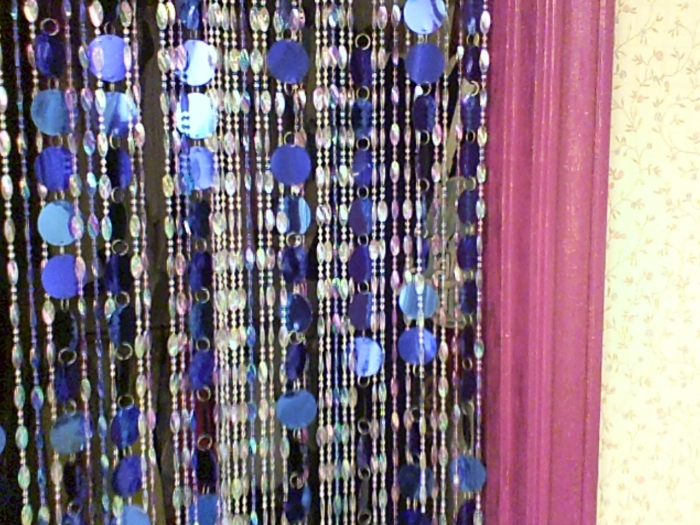 This curtain has 34 strands of beautiful twisted beads and is 35" Wide x 70" Long. 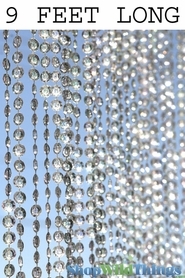 Our wonderful heavy-duty acrylic beaded curtains are a perfect addition to any room! Use in the place of regular doors, closet doors, on top of a shower curtain or behind a bed as a headboard to add the illusion of height to any room! This curtain has iridescent beads and shines so beautifully! 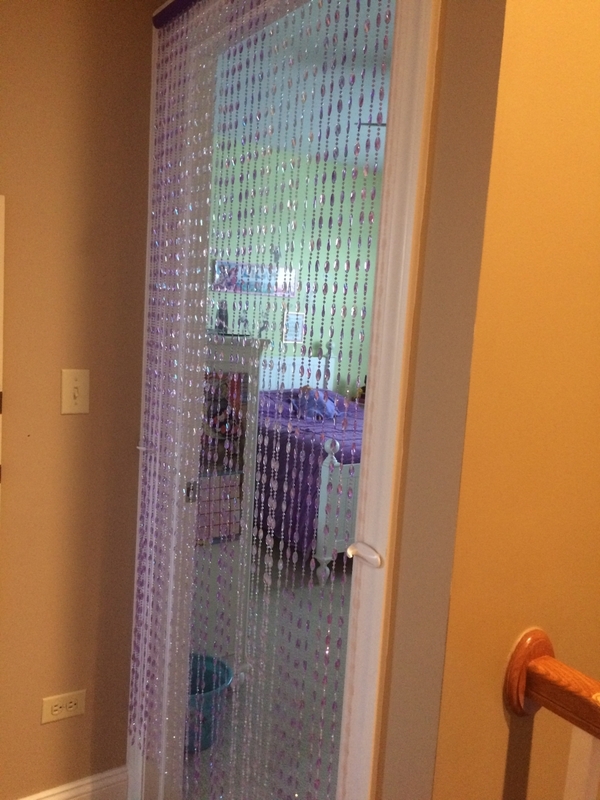 This two-tone curtain has purple and violet beads. It is also available in brown tones, rainbow, black, and blue/white. 34 strands! This review is for the purple beads, but I also bought the blue ones. Both arrived quickly and with no issue. They were even better than I expected! My kids loved waking up to these on their birthday! Perfect and very well made. I am ordering another....just changed my mind and am expanding my original project to cover a picture window in my motorhome. Awesome!! 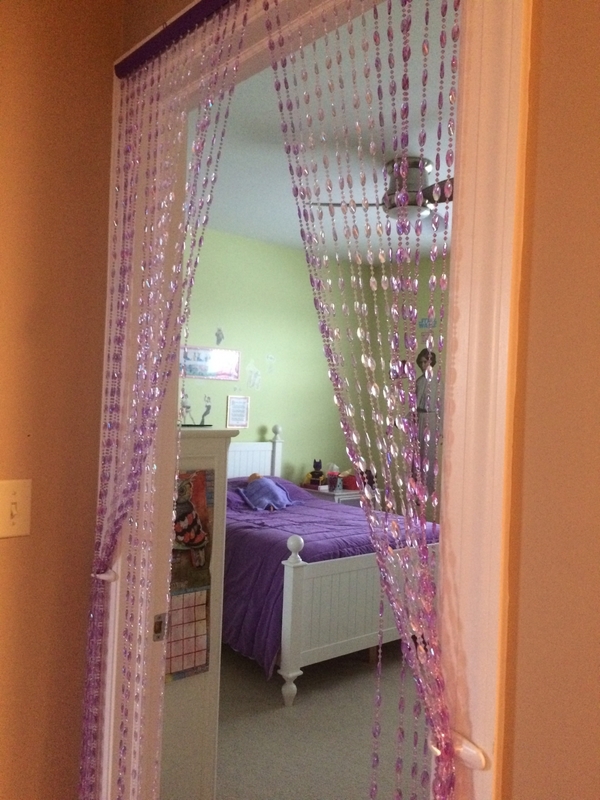 Got these for my daughter's doorway and just installed them. They look very pretty. They are a perfect match for her room design. Will definitely be ordering again. ProsWell made and easy to hang. 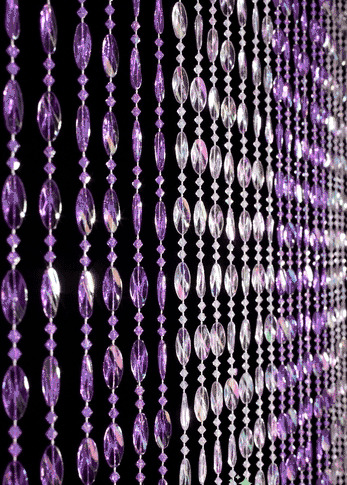 The color is beautiful and has a natural sparkle. I bought these for my grandaughter's room and they both love them! Love it so much I ordered another one. ProsThe light and darker colors make a sweet curtain. 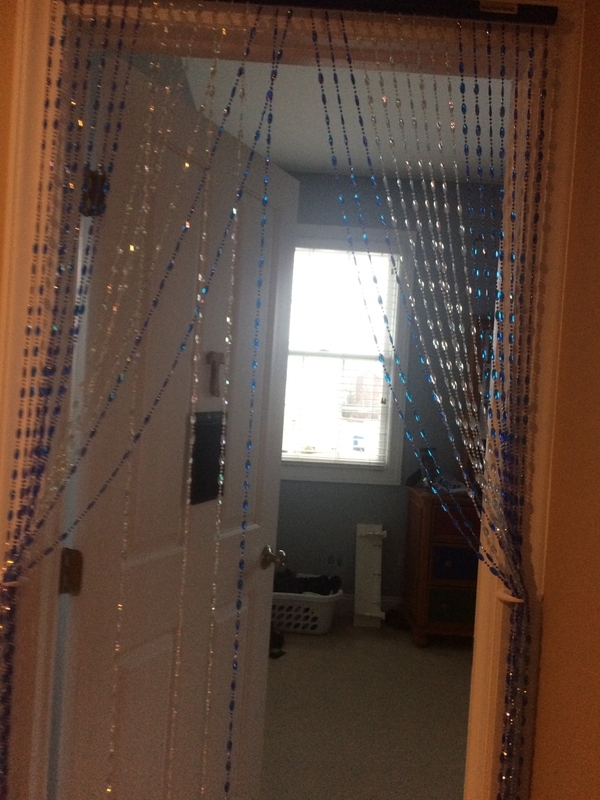 I wanted a beaded curtain to replace the closet door to match my newly painted doorway of bright glitter purple and these beaded curtains of purple, light blue and dark blue were a perfect choice. Merchant Response:Thank you for sending in a photo and review! We appreciate your comments! ProsI like the brightness of the round blue ones to contrast with the purple on the doorway. ConsI dislike how difficult they are to modify (doorway more narrow or wanting bead strings closer together) so I had to take out the strands and re-fill them in the holders the way I wanted them.